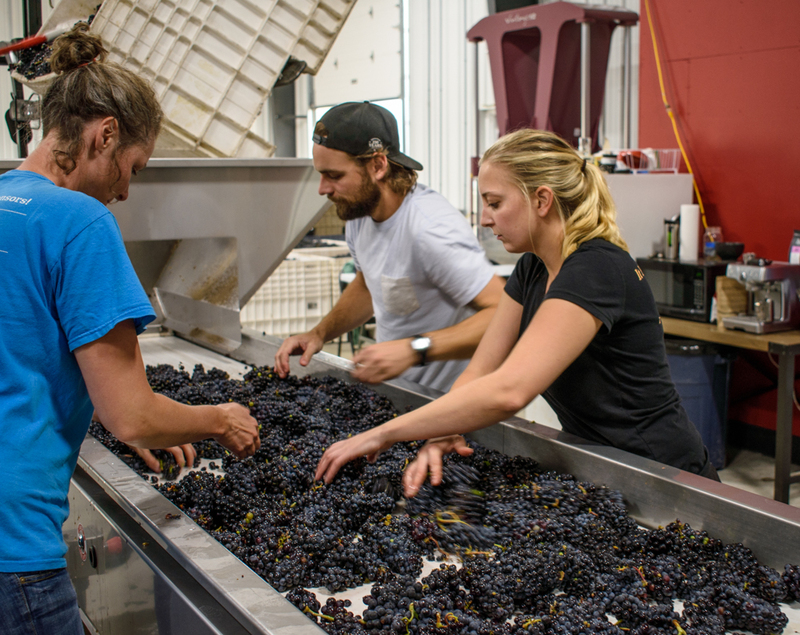 We are kicking off the 2017 vintage this week with our inaugural sparkling wine harvest, beginning with Pinot Noir from East Kelowna. 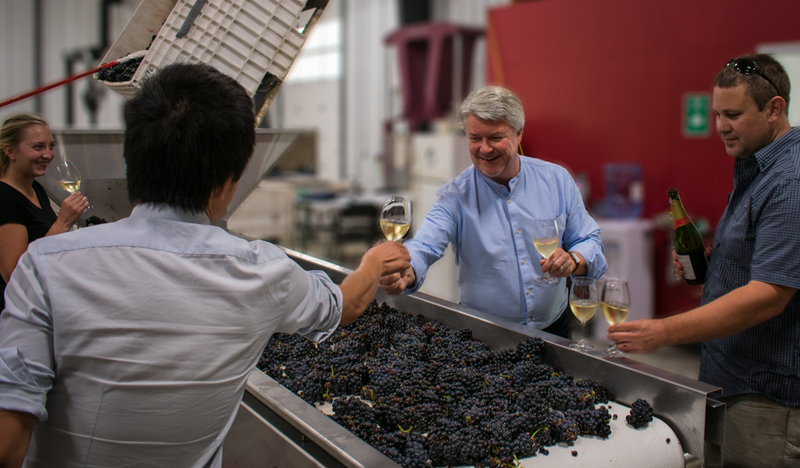 The harvest began with a celebratory toast led by Ingo Grady. The 2017 vintage got off to a slow start after a cool, wet spring. However, warm summer temperatures quickly accelerated the pace of the growing season. This, combined with cool nights, resulted in fruit reaching optimal ripeness with balanced acidity. 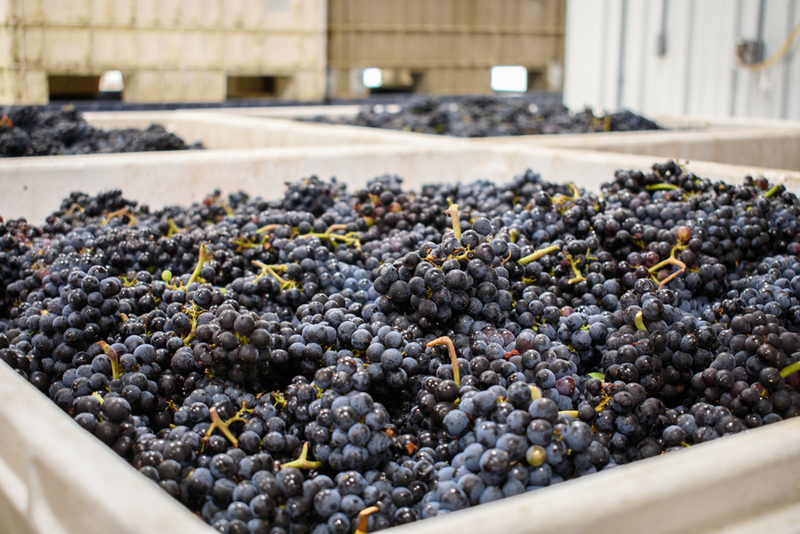 Grapes for sparkling wine are typically harvested early to retain crisp acidity. Our sparkling wines will be made in the time-consuming traditional method, with prolonged aging in bottle. The first sparkling wine release is anticipated in 2020.